Elliptical Inox with brushed stainless steel base 750x500 mm. Height 730 mm. Available also coffe table version height 400 mm with 600x400 mm base (art. 4903). Top max 1800x1100. 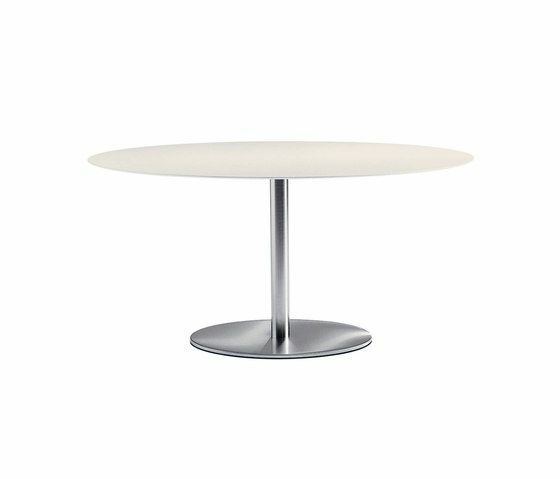 Inox table base family, different versions available: round or square column and base, powder coated or stainless steel finish. Different heights: mm 730, mm 1100 or adjustable in height.